Finding short films that use Vangelis music is a challenge. In many cases, the collectors and researchers know of the shorts, but there is usually little hope that there will be a commercial release. It's difficult enough to get those full-length films with Vangelis music released!!! Out of the blue, a DVD appears in France in 2006 that, because of the subject matter, has led to the release of the short film, Plus Vite que le Soleil, also known as Faster than the Sun. 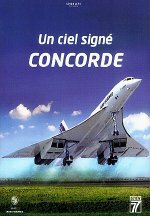 The 11 minute, 40 second short film focuses on the flying marvel, the Concorde Jet, and follows the flight of a business woman from Paris to Rio de Janeiro, Brazil. As noted in the film, the first trans-Atlantic flight took 30 hours. On the Concorde, it takes 3 hours, 10 minutes! As for the Vangelis music, the director, Robert Enrico, has used several pieces from Heaven and Hell part 1, as well as "Creation du Monde" from L'apocalypse des Animaux. Nice to finally see this short film, and I have to say, the print used for the DVD looks pretty decent. You might be a little confused. 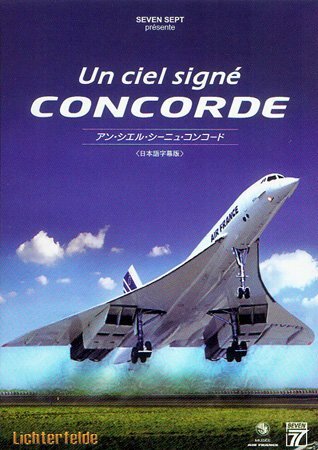 Looking at the cover art, it says Un Ciel Signé Concorde. Yes, indeed, that is the title of the DVD. Plus Vite que le Soleil is a supplement, an extra bonus feature on the DVD! 2006, NTSC, 16:9, Region 2, Dolby 2.0, in slipcase with booklet. 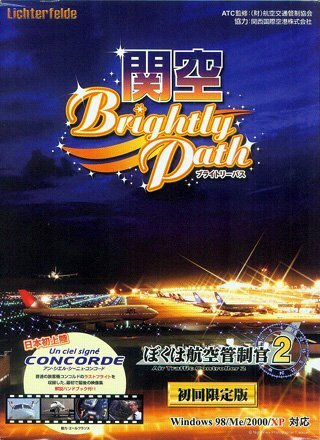 Also, this is available in Japan as part of a package with flight similator software called "Brightly Path 2"